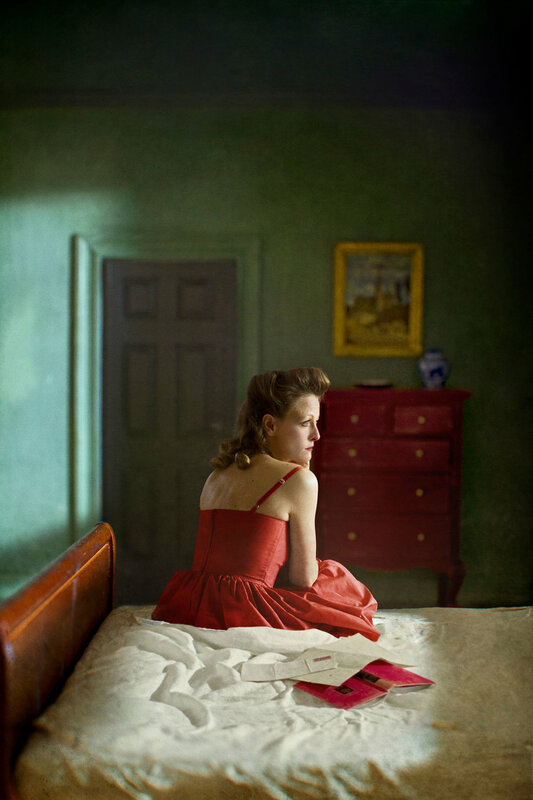 Richard Tuschman will be showing at the Center for Photographic Art in Carmel, California, with a solo exhibition of his celebrated Hopper Meditations project. The exhibition, entitled Beautiful, Terrible Things: The Work of Richard Tuschman, will open on March 2nd and remain on view through April 20th. The Hopper Meditations series, is a lushly colorful body of work, inspired by the paintings of Edward Hopper. These meticulously constructed photographs are made from a combination of hand-built doll-house sized dioramas, and life-size models that have been digitally composited into the resulting scenes. Although the figures depicted in the Hopper Meditations are rooted in the mid-twentieth century, these intimate dramas evoke timeless and universal themes such as solitude, alienation and longing. To acquire artworks from this series, please contact the gallery.